Many times in the journey as a spiritual seeker, a doubt arises as to whether we are making any progress on our spiritual path at all. As it is commonly said, only that which can be measured can be managed. In that case, are there any metrics for our spiritual growth? More often than not, we are told that spiritual progress is only a matter of faith and cannot be measured or comprehended. In a sense this may be true, because if there were metrics, the seeker’s focus would have been more on the metrics than on the journey itself, thus losing sight of the real goal. However, having said that, the Lord in all His compassion has indeed given us some parameters on the basis of which we can take a test as to how dear we are to the Lord. In the Bhagavad Gita, Lord Krishna, in the 12th chapter on Bhakti Yoga that consists of 20 verses, dedicates 7 verses - from the 13th to the 20th verse, to define the parameters that indicate how dear a devotee is to the Lord. Lord Krishna clearly lists down certain qualities, stating that if the devotee has these equalities, she/he would be most dear to the Lord. Therefore, we can always run the acid test to measure ourselves on these qualities and gauge how close we are to the Lord. Among these 7 verses, the middle one, the 16th verse to be precise is perhaps the most important. 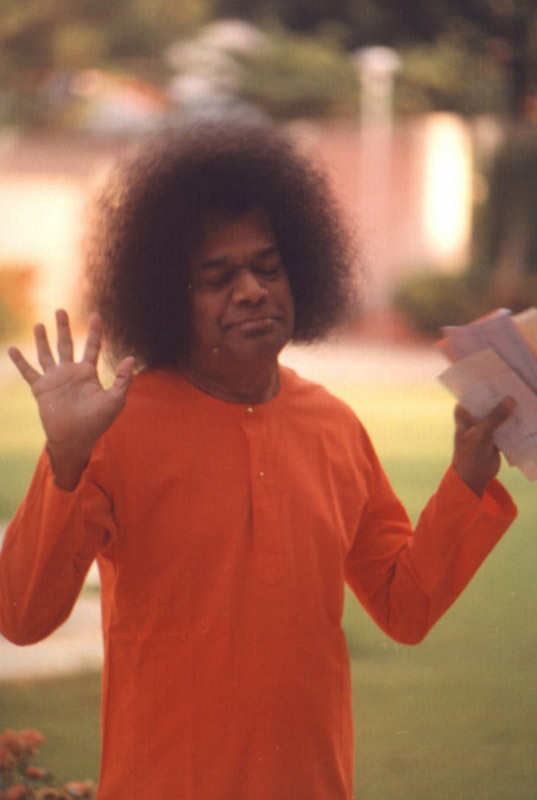 That is why Bhagawan has stressed on the six qualities in this verse in many of His Discourses. 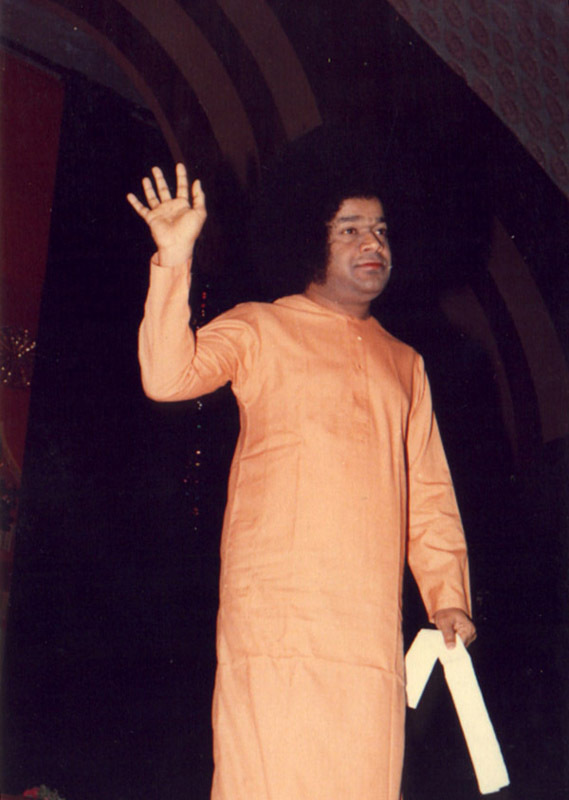 These six qualities, Bhagawan says, are very essential for every devotee, who wishes to be dear to the Lord. 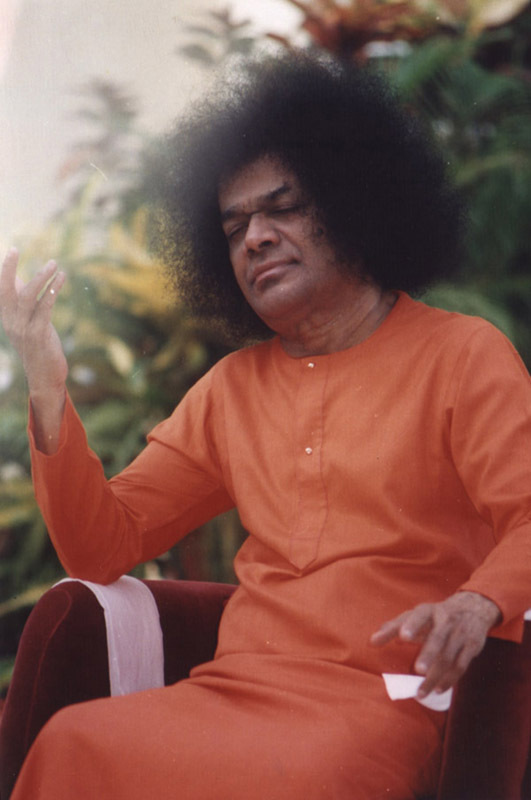 These six qualities are Anapeksha (desireless), Suchi (purity), Daksha (Determination), Udaasina (unmindful, unattached), Gathavyathah (free from worry and distress, living in the present) and Sarvaarambha Parithyaagi (renunciation, giving up of ego). The audio clips in this posting have been taken from three Discourses. 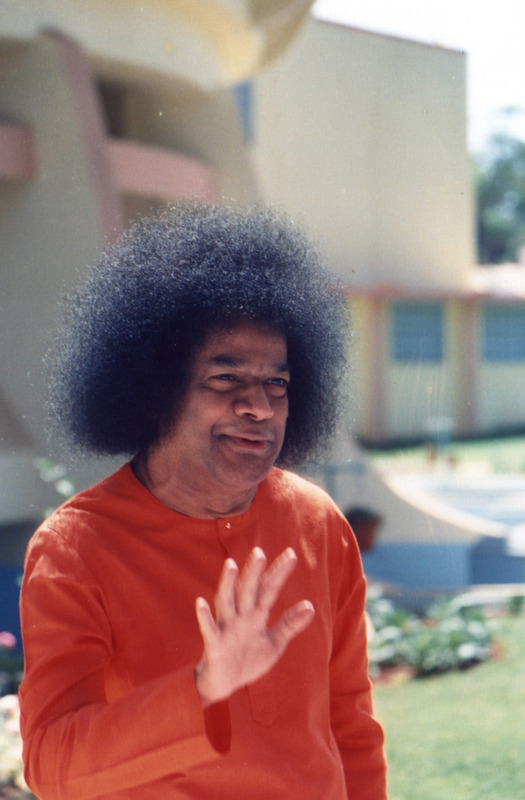 Bhagawan discusses the same six qualities in the three Discourses. 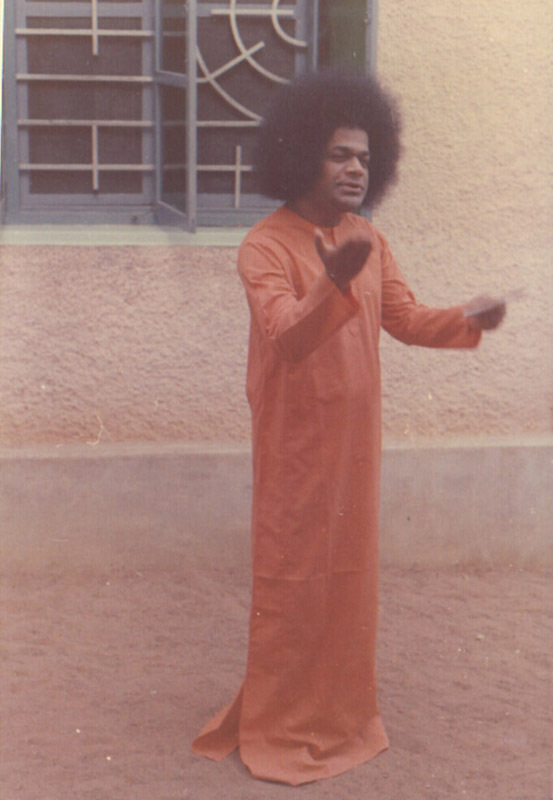 However, in each Discourse, Bhagawan mentions some specific details that are unique to that Discourse. Therefore, for the sake of completion, in spite of some repetition, excerpts from all three Discourses and in some cases two Discourses, is included for each of the six qualities, making a total of twenty one audio clips. 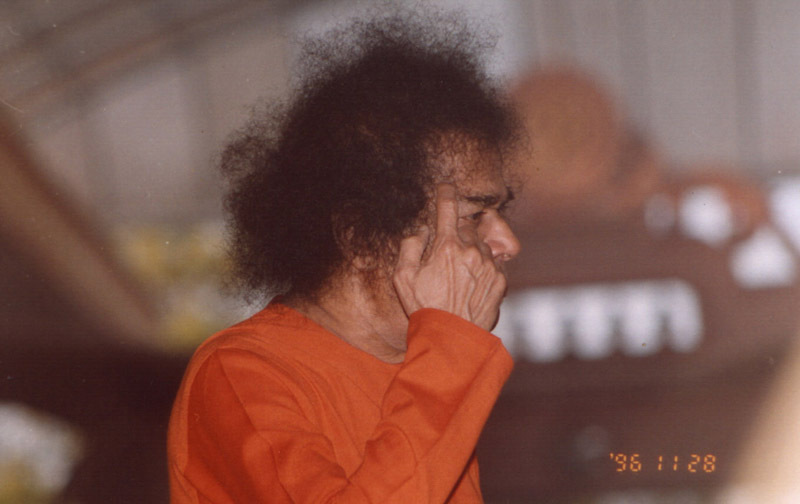 These twenty one audio clips in this posting have been taken from the Discourses delivered by Bhagawan in the years 1993, 1996 and 2000. 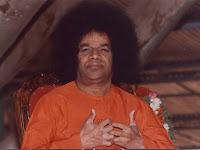 In Clip-1-A, Clip-1-B, Clip-1-C and Clip-1-D Bhagawan explains the meaning of Anapeksha and the method to develop this desireless state. Clip-2-A, Clip-2-B, Clip-2-C defines Suchi and the method to acquire the same. Clip-2-A1 focuses on purification of speech. Clip-2-A2 stresses on purification of the mind, while Clip-2-A3 explains about the purification of the body. Clip-3-A, Clip-3-B and Clip-3-C is about the quality of Daksha or determination. Clip-4-A and Clip-4-B describes the quality of Udaasina or detachment. 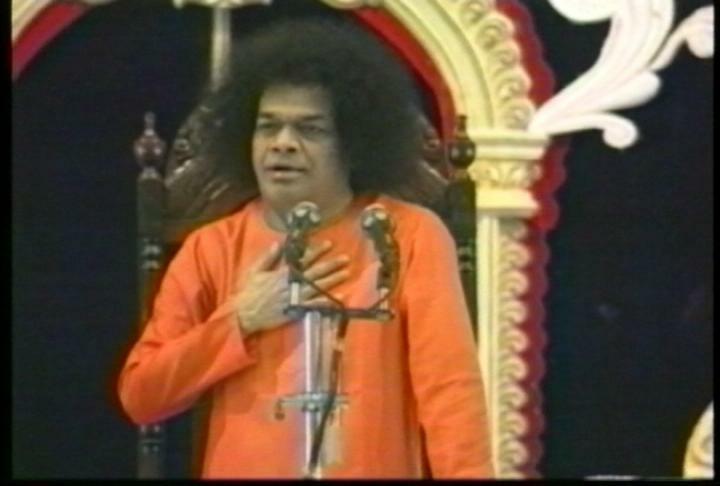 In Clip-5-A and Clip-5-B Bhagawan explains the importance of the quality of Gathavyathah. Clip-6-A and Clip-6-B elaborates on the sixth and the final quality of renunciation - Sarvaarambha Parithyaagi. 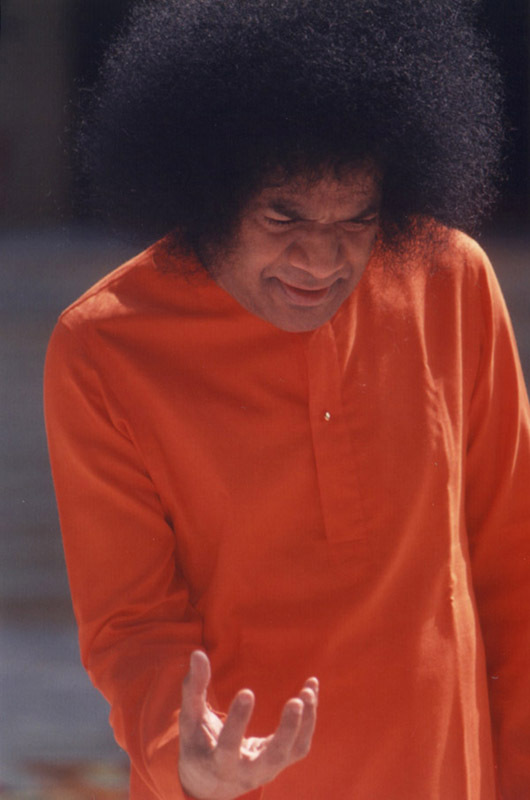 Finally in Clip-7 Bhagawan sums up the six qualities, reminding us again that only a devotee who follows these six qualities is truly dear to the Lord. Anapeksha Suchir Daksha Udaasino Gathavyathah. The devotee with the six qualities of Anapeksha (desireless), Suchi (purity), Daksha (Determination), Udaasino (unmindful, unattached), Gathavyathah (free from worry and distress, living in the present), Sarvaarambha Parithyaagi (renunciation, giving up of ego), is very dear to me. Anapeksha means to remain without any expectations. In this wide world, can one stay without any expectations? That is impossible. Some may like some things, others may consider certain things as noble or sacred. Things that we like, give us sensual pleasure, joy and worldly happiness. Things that are noble, confer happiness that transcends the senses and is beyond the world and the body. All expectations and desires are subsumed in these two types of expectations. Is it possible for one to be beyond expectations in this world? Yes, it is possible. In the Bhagavad Gita, it is said (by Lord Krishna), “All righteous actions are My very own Form”. Individuals who recognize this truth have the scope for acquiring the state of Anapeksha. When all the actions performed by man are done as an offering to the Lord, they assume the form of actions of Anapeksha. The Divine energy, being in me, making me walk, making me speak, making me see and making me hear is verily Him. Therefore, it is He (God) who performs all the actions, makes it happen through us, gives us joy and experiences the joy Himself. Therefore, as it is He (God) who is the indweller of every being and is the one getting everything done through her/him; having the feeling that all the actions are being offered to God is the true meaning of Anapeksha. When aspirants perform all the actions that they do, as an offering to the Lord, it assumes the form of actions of Anapeksha. Anapeksha. God questioned Himself, “what type of person is very dear to Me?” He gave the reply, “Anapeksha - The one who has not got any type of expectations (who loves Me) is the one dear to Me”. Today, in this world, you cannot find any individual who is without any expectations (desires). Everyone has some or the other desire, some things that they like, some things that they consider sacred. The experiences of the worldly senses yield only momentary happiness. It is temporary, not ever-lasting, and momentary. All entertain such desires only. But the one beyond this, transcending the senses is the Shreyo Marga (the inward path). This is the sacred path. All desires are subsumed in these two types of desires. 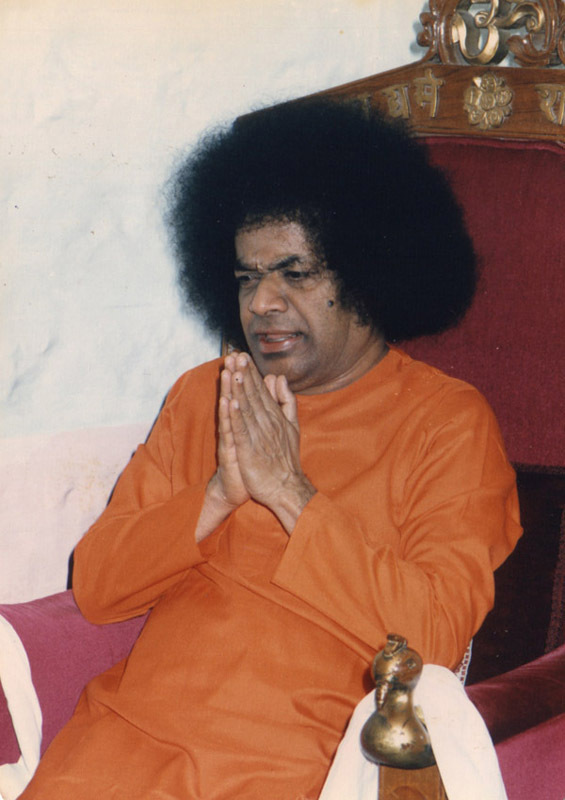 When man performs any action, if he does it with the feeling of Sarva Karma Bhagavat Prityaartham (offering everything to please the Lord), then it assumes the form of sacred actions. We must consider any work that we do as God’s work. When we perform work with such feelings it will amount to Anapeksha. Any action that is done without any selfishness or self-centeredness, that is done only for the sake of love for God, for realizing God and for acquiring Divine bliss, comes under the category of Anapeksha. Therefore, it is impossible to live without any expectations (desires). Desires must be there; but for what? For pleasing the Lord. Anapeksha. One must not have any type of expectations (desires). Is it possible for a human being endowed with body, senses, mind and intellect to exist without any expectations or desires? It is not possible. Expectations have to be there. But what type of expectations? 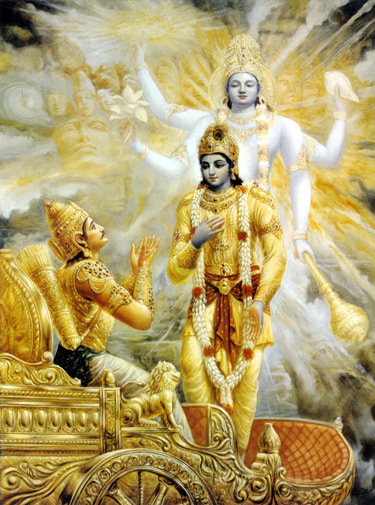 Even in the Dwapara age, the preaching (of Lord Krishna) was that all righteous actions are His very own Form (Divine). What type of desires must humans have? Among all the desires, those that are based on sacrifice are the greatest. Righteous desires are very important. Desire for God is very important. People in this world have varied desires; some have righteous desires and others have great desires. Yet others have desires that combine righteousness with greatness. Therefore, no one has the right to judge between these two. If God loves the one who has developed Anapeksha (desireless state), then how is this Anapeksha to be acquired? When all Dharma (duties) and Karma (actions) are performed to please the Lord, they will true righteous actions. They will be actions without any expectations. Therefore, Anapeksha does not mean not having any expectations. One can have any expectations, but all these expectations must be offered to the Lord. We must consider that all actions are done to please the Lord. Then the word Anapeksha will find true fulfillment. Thus, when the one having Anapeksha, performs all actions to please the Lord, God will love such a person. The second quality is Suchihi. Suchihi means cleanliness, purity. It is not enough to keep just the outer body clean. Inner cleanliness (purity) is also very important for spiritual aspirants. What is the meaning of inner cleanliness? All actions performed by man originate from within; they do not come from outside. Everything is a reflection of the inner being. When the inner feelings are pure, only then all the actions performed by man will also be pure. When the inner feelings are impure, all actions performed by man will also be impure. What is it that has to be done within? It is the Mano-Vaak-Kaaya (mind-speech-body) that is to be purified. The important aspect is speech (word). The word should be pure. What should be done to make the word pure? Whatever words we speak must be such that it does not cause any agitation, it must be true and pleasant. There are four reasons for the speech to get polluted. a) The word should not be blemished by untruth, b) The speech should not be blemished by excessive talk, c) The word should not be of the complaining or accusing type, d) Pure speech should not criticize others. However, because of the effect of the Kali age, the tongue experiences all these four types of defects. It constantly speaks the untruth. It always criticizes others. It keeps complaining about others and talks excessively. When we get rid of these four defects, we will be able to purify our speech. To start with, we must purify our speech. The second is the mind. The mind gets polluted because of bad feelings and wicked thoughts. To the extent possible, human beings should try to prevent the entry of bad thoughts in their mind. All the time man indulges in bad thoughts. Yad Bhaavam Tad Bhavati (As is the feeling so is the outcome). Once such bad feelings enter the mind, man bears the fruits that are also unsacred. Therefore, in order to make the mind pure, bad thoughts have to be distanced. One must take care not to allow entry of bad feelings. Only then, will the mind be purified. The third one is the body. The body should not be blemished by any violence. We commit so much of violence with these hands. We commit so many sins with these hands. Sareera Maadhyam Khalu Dharma Saadhanam – This body has been given for performing righteous deeds (Dharma) and not for performing wicked deeds. Human life has been associated with this (physical) body. Jantunaam Nara Janma Durlabham – The human birth is the rarest of all. We are experiencing this rare human birth through this body. Purifying the body is to engage the body in sacred tasks, acts of service to others and actions related to God. Therefore, inner purity means to remove the defects of the mind, the speech and the body (thoughts, words and deeds). In Suchi, inner cleanliness is very important. The second quality is Suchihi. It means outer and inner cleanliness. Even if outer cleanliness is not there, inner cleanliness is very important. God aspires only for Chitta Shuddhi (purity of the mind). Chittasya Shuddhaye Karmaha. All actions have originated only for purification of the mind. If we pour water into a tumbler (glass), even if the tumbler is not clean outside, if it is clean inside, we may be able to use the water for a few days. So what does God expect? He expects inner purity. This is the second quality. The one with Anapeksha (desireless) and inner purity will be deserving of God’s Love. The second quality is Suchi. What is the meaning of Suchi? It means cleanliness. What type of cleanliness? Is it inner cleanliness or outer cleanliness? Both are essential. God loves cleanliness. If we keep only outer cleanliness as our goal (that is not enough), we must understand that inner cleanliness is very important. Though God is there outside and inside, we must make an attempt to understand the principle of God within us. Let us say, we prepare pulusu (soup) in a brass vessel. However, within a few seconds the soup gets poisoned. Why does it get poisoned? 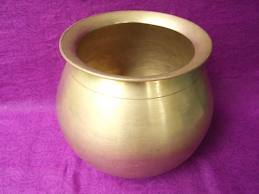 Because the brass vessel is not coated with tin inside (Tinning – Kallai- prevents the uptake of copper from brass by the soup; thus preventing it from becoming toxic). In the absence of the coating of tin, the soup gets poisoned. Our human body too, is like a brass vessel. This brass vessel has to be coated with the tin of love. When the kallai (coating) of love is applied, whatever item we may cook inside this vessel, will not get spoilt. Therefore, there must be purity both inside and outside. What is the outer cleanliness? When we perform actions for the welfare of others, with the feeling of worship, i.e. with the feeling that the action is being done to please God, to serve others; then performance of such selfless actions leads to outer cleanliness too. Performing actions with selfishness cannot lead to purity or outer cleanliness. The third quality is Dakshaha. It means determination in the performance of actions. Determination must be demonstrated only in actions that are sacred, fulfilling and related to welfare of others. Humans cannot stay without performing actions for even one second. So, in such a situation, to perform sacred actions amounts to determination. Under any circumstances, or in any situation, we must not engage in unsacred actions. This is the determination (to be exercised) in the domain of sacred actions. Only such a person can be a true Daksha or a Karmaadhikaari (master of actions). The third quality is Dakshaha. It means the one who has determination. To never forget God, to engage in actions for the welfare of others, and to perform Nishkaama Karma (selfless actions) under all circumstances, is determination. It is only an individual, who, at all times and in all situations, not mindful of any obstacles to her/his thoughts and ideas, overcomes all of them and moves forward; can be dear to the Lord. Not subdued by sorrow and not elated by happiness, having a feeling of equanimity and seeking the truth, is true determination. God has said that such ones are dear to Him. Hold on - Never give up! (Anyhow you have caught on to something; having caught on to it, keep holding on. Until you have achieved it, remain that way. This is determination. Anyhow you have desired for something; having desired thus, until the desire is fulfilled, do not leave. This is determination. Anyhow you have asked for something; having asked for it, until it is given, do not give up. This is determination. Anyhow you have thought of something; having thought about it, until it is realized, do not go away. This is determination. What should happen at the end? Not able to bear any more, He should come to your rescue. Or you will have to keep asking until you lose your consciousness. Therefore, what is determination? I should seek God, I should see God, I should receive His Grace; we must have such long standing determination. Devotees, who have such determination, are loved by God immensely. The forth quality is Udaasina. What is the meaning of Udaasina? It is to live without being related (attached) to anything. Be it repute or disrepute, profit or loss, sorrow or joy; one should be in a state of equanimity; without getting depressed, dejected, frustrated or elated. We need not have any fear of disrepute, not should we get elated with repute. Repute and disrepute are like passing clouds. We must remain an eternal witness to these. We must remain as an Udaasina (disconnected). We must not take it to heart. If we do so (take it to heart), it will pollute our minds. It can even transform human nature into demonic nature. Therefore, Udaasinata means, we must not get dejected or elated with either good or bad, joy or sorrow, sin or virtue. Udaasina is to remain unmindful of all these (dualities). Anapeksha, Suchir Daksha, Udaasino... One must remain unattached to everything. You may perform any task, but there must be no relationship (attachment) between you and the task. You may participate in any type of work. You may participate in carrying out service for others. But you must not entertain any desire for the outcomes / results. Any work that you do must be without expectation of the fruit. Not only this. We must also be very careful of our association with any Institution. We must not crave for name and fame. We must not submit ourselves to recognition and respect. We must be away from the wrong desire such as, “Oh, I have done so much work, but my name has not appeared in the papers”. If you struggle like this for the fruit of your action, then the actual outcome of the action will also become zero. Therefore, when you perform any task, if you have expectation of the results, then it amounts to your submission to the task. Thus, we have to participate in tasks without expectation of any fruits thereof, and lead our lives remaining happy, irrespective of victory or defeat. Gathavyathah is the fifth quality. This (absence of this quality) is the greatest weakness in mankind today. Man is not performing actions which he has to, in the present. He broods continuously about something that has happened in the past. He keeps on thinking about the future. Why should you worry about the future? Why should you worry about the past? Past is past. You cannot get back even one second of the past, how much ever wealth you may be ready to give. Forget the past. Next, the future; what surety do you have about the future? Where is the courage for you to even say that you will be alive till tomorrow? Future is not sure. Do not brood over the future. Do not think about the future. Take the present as most important. This present is not ordinary present. It is omnipresent. Past results are in the present. Future results are also in the present. Keep the present in focus. This is called Gathavyathah, which the spiritual seekers must practice. This (absence of Gathavyathah) is the reason for all the problems of human society. Brooding over the past and worrying about the future, man is not able to even perform what he needs to, in the present. As you forget the present, miseries will follow you. Be perfect in the present and you will get a perfect future. As the seeds you sow today, similar will be the fruits that you will reap in the future. The belching that you get in the evening will be based on the food that you eat now (in the morning). Therefore, you must consider the present as very important. It is very good for the spiritual seeker to keep the present as his goal and forget both the past and the future. This is the fifth quality of Gathavyathah. Because of constant worrying, the Rajo Guna (hyperactive, passion) increases in man. Rajo Guna is like a demon. It will make you do anything in a moment. It is very difficult to control the Rajo Guna. It is thoughts that encourage the Rajas quality. Therefore, we must not encourage the Rajo Guna. Anapeksha, Suchir Daksha, Udaseeno Gathavyathah... This also needs determination. We must not at all brood about the past, nor must we worry about the future. Why worry? How much ever you may worry about the past, it is not going to come back again. You may worry any amount about what is to happen, but no one can predict the future. If you decide you will do something tomorrow, what is the surety that you will live until tomorrow? Will you be able to live until tomorrow? It is not possible to declare so. Therefore, what is the use of constantly worrying about the future? Future is hidden in the womb of time. It cannot be seen. Why are you worrying so much for that which is hidden in the womb of time and cannot be seen? Past; what has happened has already happened. It has got drowned in the womb of time. We cannot bring back again that which has already been drowned. Therefore, the past will never come again. The future does not belong to you. Then why should you worry about it? But, thinking is very important for mankind. Man cannot live even for a second without thinking. Thoughts keep on coming. But do not let these thoughts be based on the past or the future. Let the thoughts be centered on the present. Past and future both are merged in the present. From the tree of the past, has come the seed of the present. From the seed of the present, comes the tree of the future. Tomorrow, future is the tree, past is the tree. Present is the seed. Therefore, the present is the basis for both the past and the future. Hence, take the present as the basis. You must act and speak according to the time on hand; you must avoid hurting others and also hurting yourself. The man who lives like this is a great one. Keep in view the present and do not worry about the future. You will surely get a future that is befitting the present. You will have no failure. The sixth quality is Sarvaarambha Parithyaagi, giving up of the ego. In all matters we reflect the sense of ego. The basis for ego is attachment. Ego and attachment put together destroy man. Therefore, one should live in an egoless manner. One should not have any attachment. Specifically, you should not have wrong attachments. All these six qualities are sacred qualities. What are these six qualities? The one with these six qualities of Anapeksha (desireless), Suchi (purity), Daksha (Determination), Udaasino (unmindful, unattached), Gathavyathah (free from worry and distress, living in the present), Sarvaarambha Parithyaagi (renunciation, giving up of ego), is very dear to me. Sarvaarambha Parithyaagi (renunciant). Who is such a one? At all times, in all actions and always, the one who remains calm is a true renunciant. He must not give any scope for any ostentation. God will be very far away from the one who goes after ostentation and show. We must give up all this exhibitionism. Where there is pomp and show, there Rajo Guna (hyperactive, passion) is present. And with this, all types of desires commence. Publicity is a worldly trend. Do not struggle for worldly pursuits. Worldly things relate to the present only. It does not pertain to all the three periods of time (past, present and future). Therefore, never submit yourself to pomp and show. “Such a person free from ostentation is dear to Me”, said the Lord. Today, for everything, we are after exhibitionism. If we spend Rs.5 (on some activity), we spend Rs.500 to get our names printed in the newspaper. Money spent on the task is Rs.5, but Rs.500 is spent for printing your name. Is this not exhibitionism? A man of true service will never run after publicity. Publicity is essential only for those who do everything for the sake of name and fame. You should not desire for name at all. Why should you use all these names given to you? Thus, do not give any scope for ostentation or show. 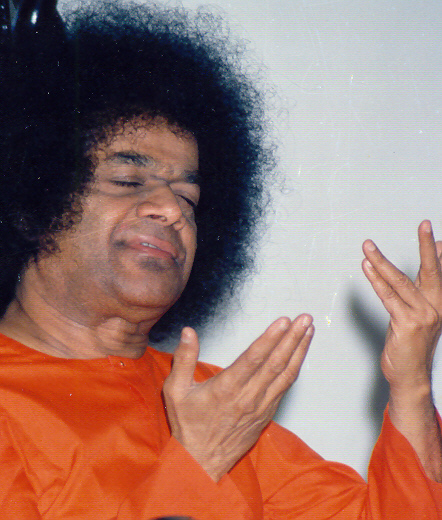 So long as there is Aadambaram (show), you will never get Atamaanandam (bliss of the Self). 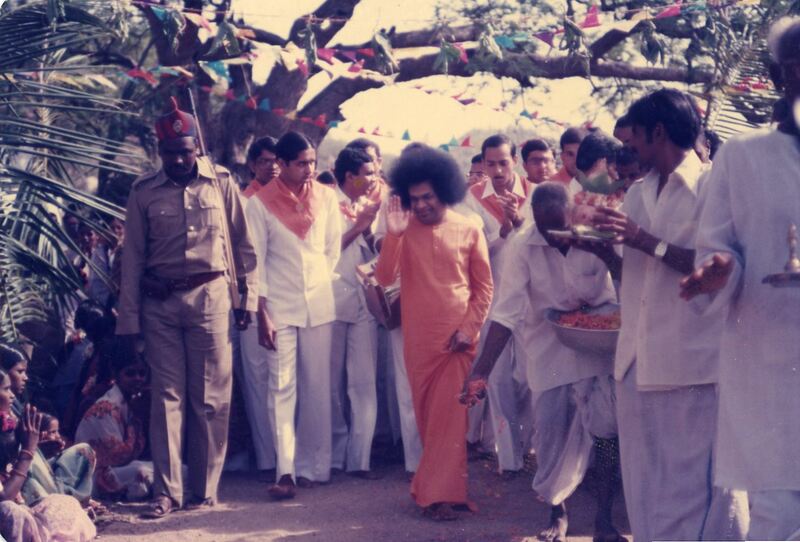 When you have not experienced Atamaanandam itself, how can you earn God’s Grace? Therefore, if we wish to love God, if we wish to be deserving of God’s Love, we must conduct ourselves according to God’s wish. Only then (when you follow these qualities), God will consider you as belonging to Him. We have to understand this principle and conduct ourselves accordingly. 01-List the six qualities of a devotee most dear to the Lord, and give the English translation of the Sanskrit terms. 02-What is the true meaning of Anapeksha? Is it possible for an individual to remain without any expectations in this world? 03-Among desires, what type of desires are the noblest and greatest? 04-What is the meaning of Suchi? 05-What is more important – inner cleanliness and purity or outer cleanliness and purity? 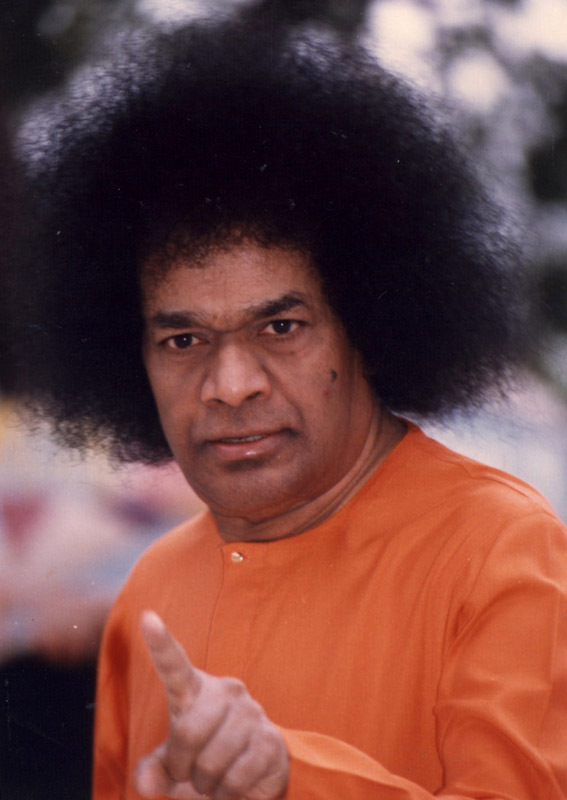 06-What are the three aspects of man that need to be purified as part of Suchi? 07-How can we purify our speech? 08-What are the four sins committed by the tongue? 09-How can we purify our mind? 10-How can we purify our body? 11-What is the meaning of the Sanskrit phrase - Chittasya Shuddhaye Karmaha? 12-What message does Bhagawan convey through the analogy of the brass vessel and the tin coating? 13-What is the meaning of Daksha? 14-Give the English translation of the Telugu verse narrated by Bhagawan; that explains the true quality of a devotee with determination. 15-What is the meaning of Udaasina? 16-What is the meaning of Gathavyathah? 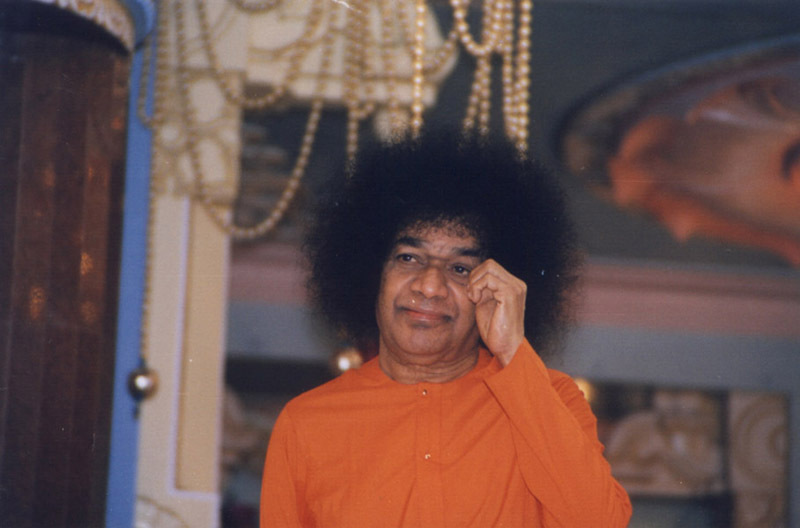 17-How does Bhagawan compare the past, present and the future to a tree and its seeds? 18-What is the interplay between Gathavyathah and the Gunas? 19-What is the meaning of Sarvaarambha Parithyaagi? 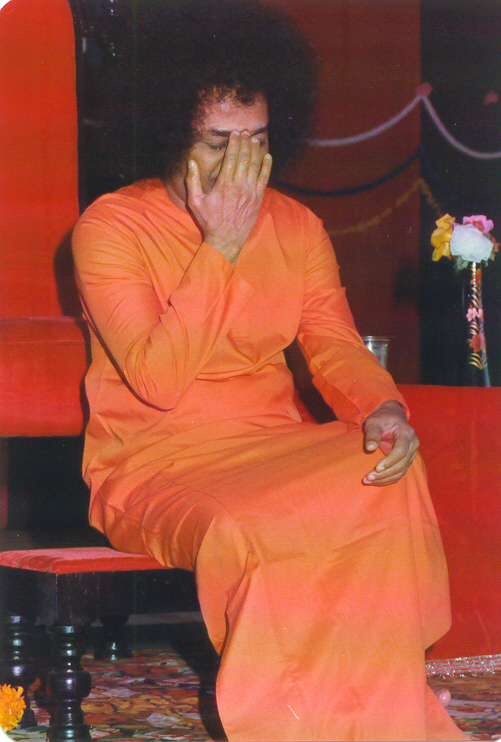 20-What is the relationship between Aadambaram (show), and Atamaanandam (Bliss of the Self)?